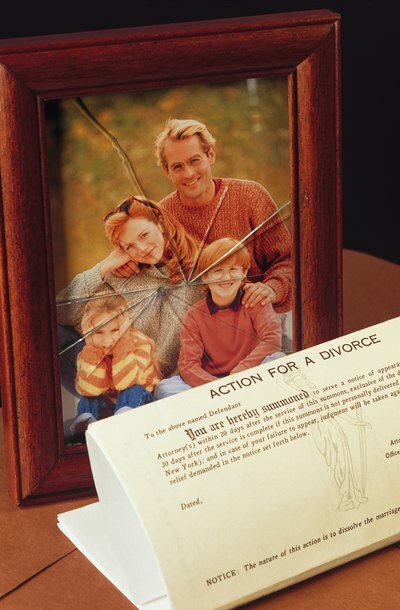 Property division plays an important role in most New York divorces. The process begins with classifying assets owned by a couple as either marital or separate. Certain considerations will factor into this analysis, including the existence of written agreements and the parties' treatment of the property during the marriage. Once the determination is made, all marital property is divided between the parties based on fairness, with separate property remaining with the individual who acquired it. In New York, property acquired during a marriage is generally considered to be the marital property of both spouses for the purposes of divorce. Separate property, on the other hand, are assets acquired by one party before the marriage as well as inheritances, gifts and personal injury awards received by one spouse during the marriage. Also, property acquired with separate property, or identified as such in a written premarital agreement, will be deemed separate. For example, if a couple purchased a home with one spouse's inheritance, the home will likely be treated as separate property and not divided upon divorce. In certain cases, the treatment of separate property during a marriage can cause it to be reclassified as marital property. Transmutation occurs when spouses change the ownership of property; for example, when a spouse changes the title of a home that is his separate property to a joint title in both spouses' names. This change in title is usually treated as a gift between the spouses, converting the house from separate to marital property. Another way to change the character of property is by commingling separate property with marital property to the point where it is impossible to distinguish between the two. An example of commingling would be depositing an inheritance into a joint bank account then using funds from that account to pay marital bills; in such a case, courts are likely to presume the account is marital property. However, if a spouse can trace funds in the commingled account to their separate property source, those funds will be classified as separate and not marital. In New York, if a spouse contributes to an increase in value of the other spouse's separate property, the increase in value may be considered a marital asset. To qualify, the increase in value must be caused by a spouse's active efforts, not a passive increase that occurs without the intervention of either spouse. But some courts have ruled that indirect efforts can be sufficient. For example, if one spouse acted as a homemaker providing the other spouse with the free time necessary to remodel the house, which is separate property, it could qualify as a contribution that increases the value of the separate asset. The law also allows a spouse to recoup payments of marital property made on separate loans or debt, or vice versa. For example, when marital funds are used to pay the mortgage of a spouse's separate property, those payments will likely be classified as marital property, entitling the other spouse to reimbursement. New York is an equitable distribution state, which means that all property classified as marital will be divided on the basis of what is considered fair between the parties. However, this does not always result in an even 50 percent division. The court will consider several monetary and non-monetary factors, including the age and needs of each party and the contributions made to the marriage, such as one spouse's services as a homemaker.